My name is Dr. Gordon West, and I am a dentist in the Lafayette, Colorado community. My practice is called ‘Gordon West DDS, Cosmetic & General Dentistry‘, and together we provide dentistry services including porcelain veneers. 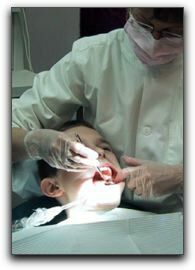 If you are looking for an Lafayette Dentist, I invite you to give Gordon West DDS, Cosmetic & General Dentistry a try. We are state-of-the-art dental care in a comfortable environment, and caring. Give us a call at 720-862-3630, or visit us on our website at https://www.bouldercountysmiles.com. By the way: I am a member of the The Crown Council. You can learn more about The Crown Council at their website located at http://www.CrownCouncil.com.